Minors: Tubbercurry/Cloonacool 0-9 0-13 Coolaney/Mullinabreena. St Attractas Juveniles 8-12. 1-4 St. Louis community school. St. Attractas 1st Years 2-5 4-6 Mountbellew. Sligo Senior Footballers 0-8 0-8 Offaly. 22nd March @12:30 St. Attractas juveniles play St. Muredachs in the Connacht juvB final in the Connacht Centre of excellence. 24th March @11 our u16 footballers play Owenmore Gael in Collooney in the 1st rd of the league. 24th March @5 our senior footballers play Eastern Harps in Kilcoyne Park. Can parents please insure that their youngsters have paid their registration. If unsure please contact the relevant team management. Colm McGee and Pat Kilcoyne are hosting a three day GAA Easter camp in Kilcoyce Park, Tubbercurry from Monday 26th to Wednesday 28th March 10-2p.m. An action-packed and fun-filled three day of activities during the Easter holidays, which revolves around Gaelic Games. It is suitable for children aged 6 to 14 years old. It costs €30 per child, €50 for two children and €75 for a family. To book please visit Tubbercurry GAA Facebook page https://www.facebook.com/TubbercurryGAA/ or contact Colm McGee 087-7737870 / Pat Kilcoyne 087-6384032. Early booking advised to avoid disappointment. All proceeds in aid of Kilcoyne Park development. Thank you for your support. Pat Kilcoyne is organising a cake sale and raffle on the 23rd of March in Teeling st. Tubbercurry as part of the fundraising drive for the development of Kilcoyne Park. So anyone available to bake or buy please get in touch with Pat. Thanks a million for your support in advance. Actors have done their casting and now the wait begins to see what films they are going to star in. All will be revealed on Friday night the 30th of March in O’Cs. when the official ‘Night At The OsKaRs takes place. Time to be confirmed. The fundraising social dance which was previously cancelled due to the bad weather will now take place on Sunday night the 1st of April in The Mayqueen. Dermot Ryan is hosting a monster car boot sale on bank holiday Monday 2nd of April in Kilcoyne Park from 8.30-2pm. All proceeds in aid of Kilcoyne Park development. Congratulations to our senior footballer Fabio Cretaro and Gail Walsh from Rue who tied the not on March the 16th. We would like to wish them a long and happy life together. 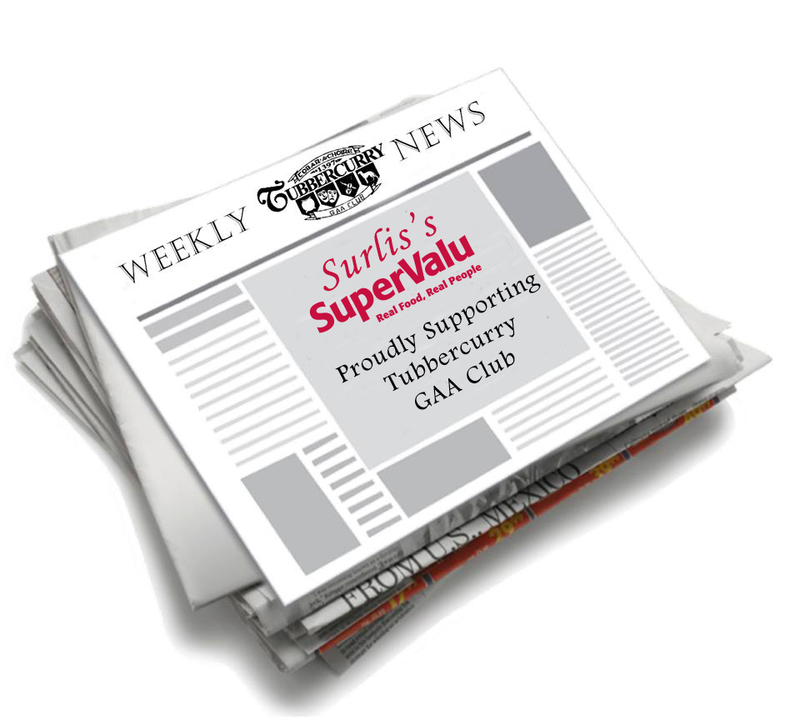 Copyright © Tubbercurry GAA Club 2015. All rights reserved.